Perhaps you have come to Australia on a holiday/working visa (or you plan to), maybe you are here as an exchange student and you want to improve your English skills and make some money, or you are simply looking for work in the hospitality industry? Either way, whether you have just moved to Brisbane, are planning to move to Brisbane or you have lived here for years the hospitality work industry in Brisbane is very lively and you should be able to find work quite easily. Welcome to part 2 of this series. Also see hospitality jobs in Brisbane part 1. Brisbane is of course the capital of Queensland – also called the *Sunshine State*. 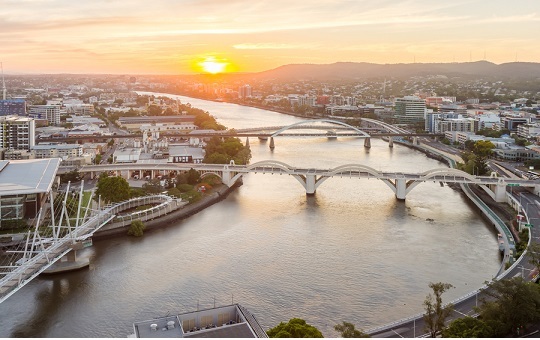 Brisbane itself is known as a very laid back city, and while that is true the city is also emerging from the sleepy city persona it has had in the past, to becoming a very vibrant and up market place to live and work. It’s a great lifestyle and while the city is growing into a bigger and more modern city, it still has that very relaxed and laid back vibe it has always had. Thankfully with the growth of Brisbane comes jobs within the hospitality industry and this makes it the best place to go – if you aren’t already IN Brisbane – for anyone looking for work in the hospitality industry. The great news is, if you are a student or a visa holder Brisbane is one of the less expensive capital cities to live in, it is cheaper to live here than in Sydney, Melbourne or even Perth. The lifestyle in Brisbane is perfect – with 300 days a year of sunshine and the energy of a growing city, there is plenty to do in your time off and of course there are plenty of job prospects in the growing dining and entertainment areas in the city. There are so many opportunities available to you and with economic growth at over 4% the Brisbane area is in desperate need of those with the right hospitality skills. Brisbane today has one of the fastest growing hospitality sectors in Australia with jobs actually increasing at a rate that is double the population growth! Full time jobs in Brisbane now make up 72% of employment and it currently has the highest rate of full time jobs in the country. Don’t waste time, while it is tempting to look around the city and enjoy the beaches your goal is to find work. Areas including New Farm, Paddington, South Bank and Riverside are great places to start – they are some of the busy areas always looking for extra staff. It should take about 2 days to circle the city – stop off at every bar, cafe, restaurant and hotel you come across, speak to people and leave your résumé. When you do get that first job the key is to *adapt*. You may find a lot of things are different, especially if you come from another country – names, the way things are done, and methods might be different to what you are use to. Wherever you get that first job, keep making connections, you never know when or if things might change and you find yourself looking for a new or second job. Always be willing to learn and take on any and all new roles – from taking phone orders, using the cash register to waiting tables, if you can *multi-task* you’ll find you become one of the well-rounded staff members business owners tend to want to keep around. Do you work in hospitality in Brisbane? We’d love to hear your thoughts below!